Germany supports dialogue for the normalization of relations between Kosovo and Serbia, but it doesn’t support territorial swaps between the two countries. 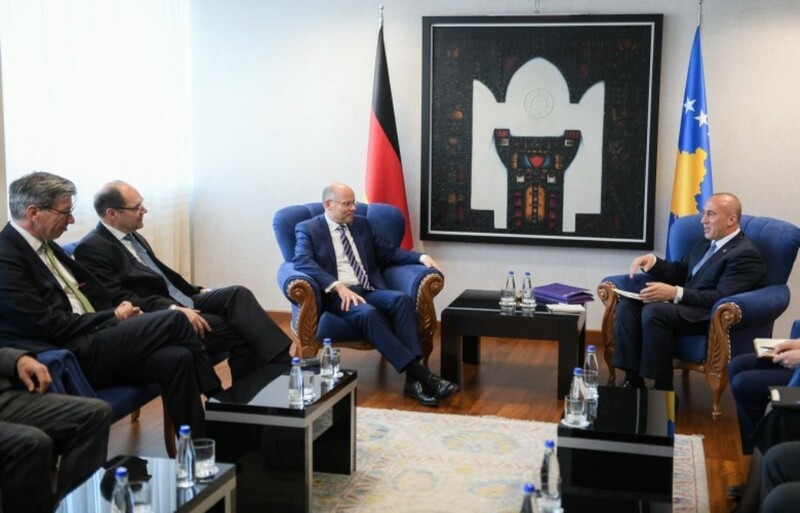 This was said in a meeting held today in Pristina between Bundestag deputies Peter Bayer and Christian Schmidt with Kosovo’s PM, Ramush Haradinaj. “We talked about the things Kosovo is going through at the moment. We spoke about the dialogue that we support, but also the idea of territorial swaps that Germany does not support. We will continue to support Kosovo in the future and closely scrutinize developments in this country”, said Peter Bayer for reporters after the meeting.